Invest in a giveaway item that offers plenty of opportunity to increase brand recognition with the Vibra Luggage Tag. 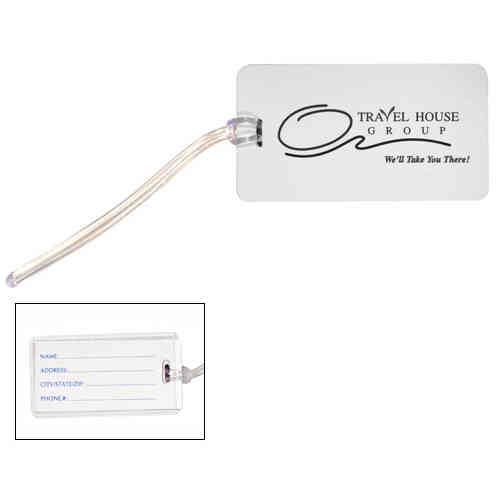 This slimly-designed luggage tag comes with a clear PVC loop and removable ID card, which slides under a clear protective material. What client or employee wouldn't appreciate one of these tags for when they go on their next business trip? Make this a smart business investment by imprinting a personal message or your company logo. Size: 4.375 " x 2.375 "